Apples of Gold presents a dreamy bridal ring set that appeals to brides of all tastes and styles. 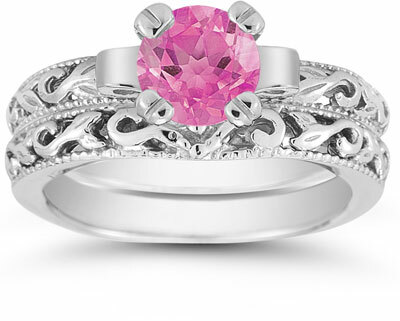 Set with a gorgeous pink topaz gemstone, this bridal set stands out with a fresh dose of color. The stone measures 6mm for the perfect size and brings plenty of shimmer to the piece. The bands are crafted of premium quality sterling silver for that bright white effect. Each ring also features art deco design elements to keep this ring set stylish at every angle. 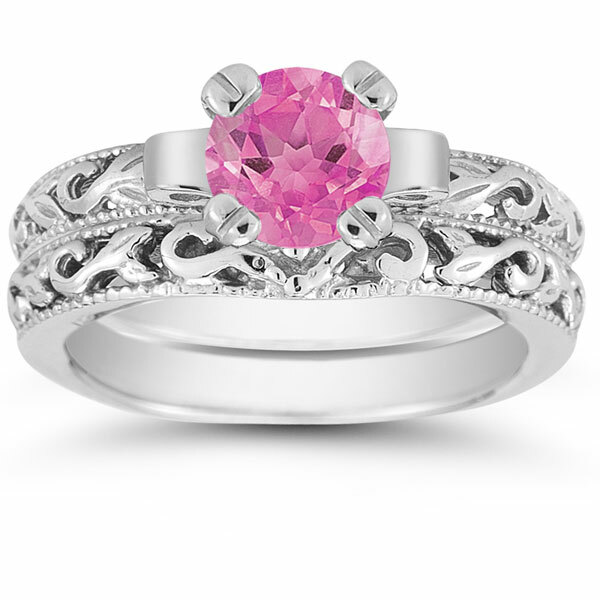 We guarantee our Pink Topaz 1 Carat Bridal Set in Sterling Silver to be high quality, authentic jewelry, as described above.